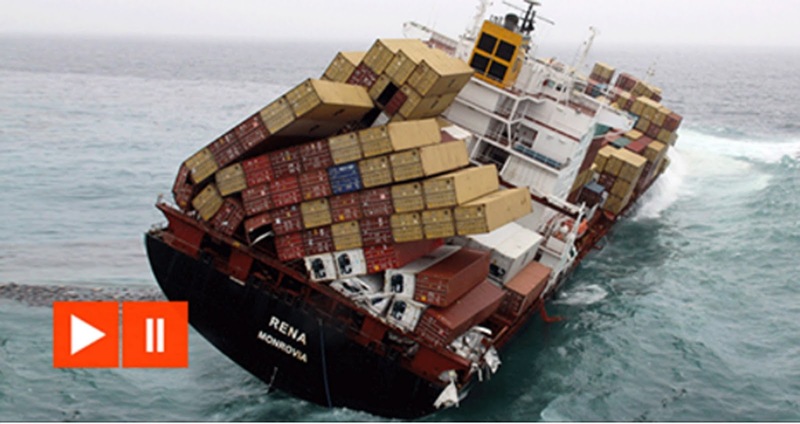 Back in 2011 there was a tragedy that occurred off the coasts of New Zealand that unfortunately caused the loss of some of the Astrolabe Reef – a container ship crashed right into it! This is some helicopter footage while the ship began to sink, and you can see just how hard it would be to clean. The ship was reported to have been carrying 1,368 containers, around 1,700 tons of oil and 200 tons of marine diesel, and it all ended up right on the beautiful reef. The ensuing oil slick was one of the worst New Zealand has seen in their existence and is to this day, one of the most insane boat crashes of all time!